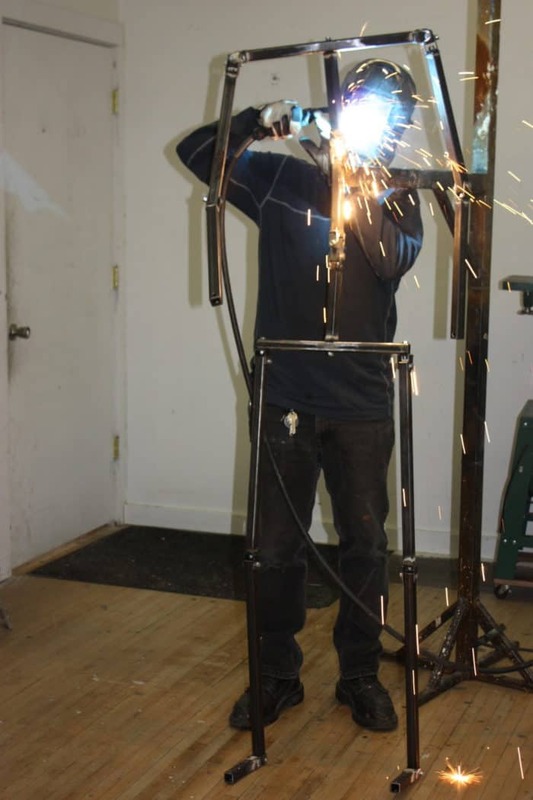 For large monumental sculptures that need additional base support — for example, human figures in motion — a skeletal base. This skeletal base is called an armature, which is fashioned out of steel and foam, with the clay applied on top. 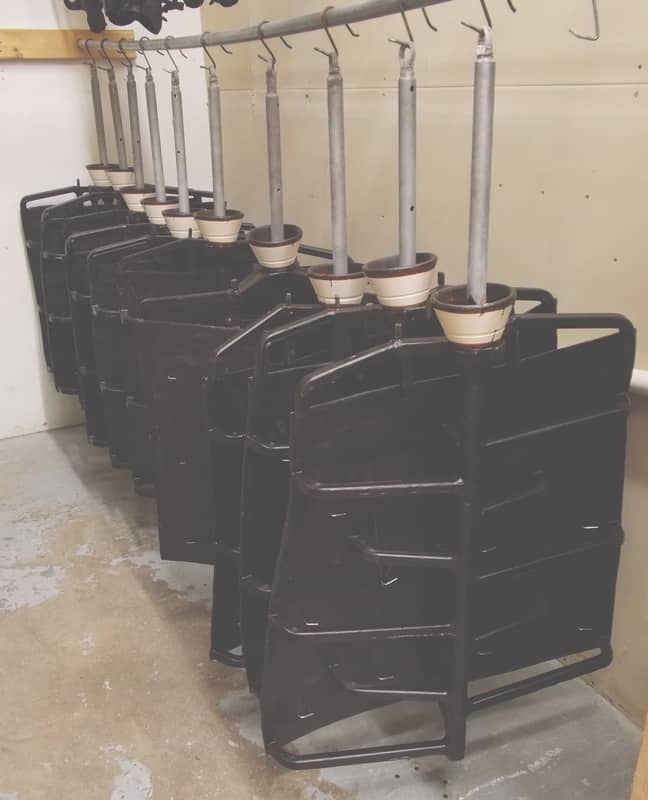 After the clay model is perfected, it is shipped from Matthew’s studio in Omaha, Nebraska, to a foundry in Colorado, where the bronze casting process begins. 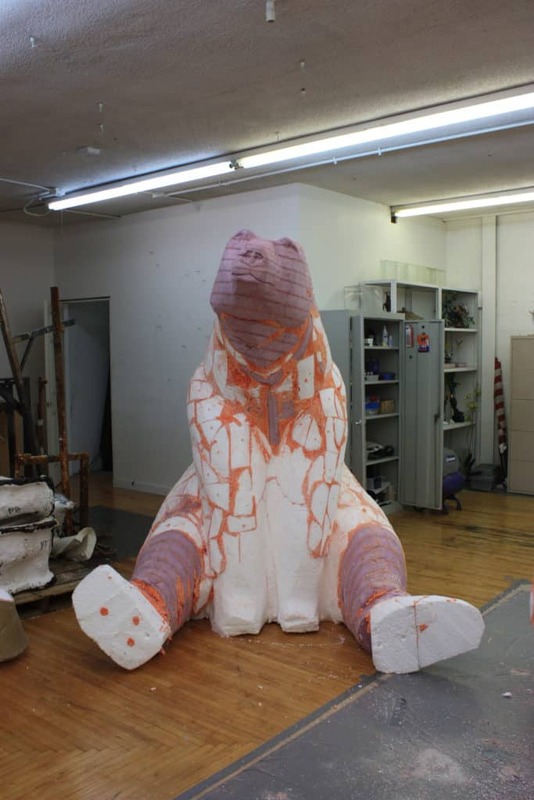 Here the clay model that Placzek has built is divided into more manageable parts. The mold maker here uses small pieces of cardboard to divide the body up. 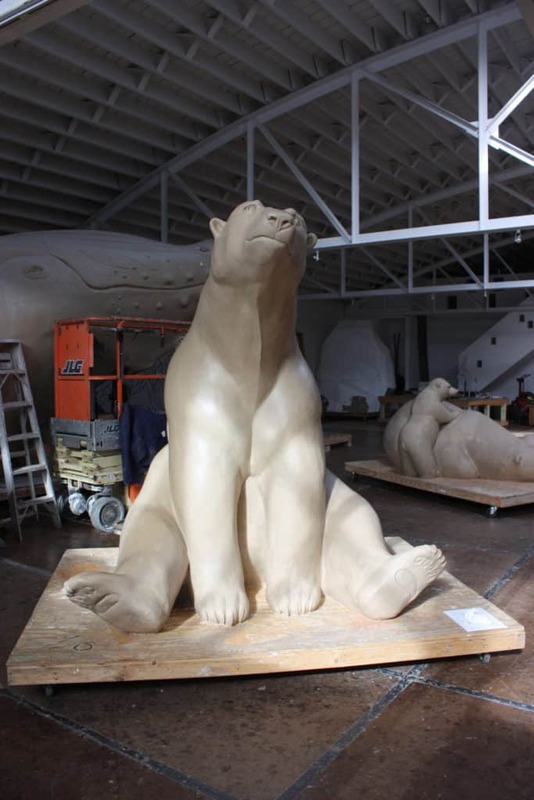 The clay model is then coated in rubber to begin forming the mold. 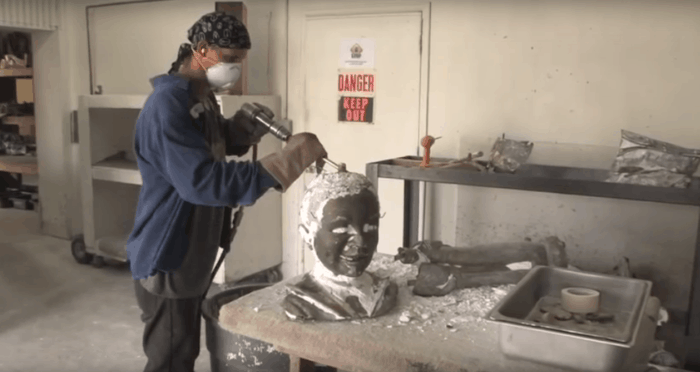 Here the rubber casting of the clay sculpture is being coated with hot wax. The wax is coated about 1/8 of an inch deep so no details are lost. 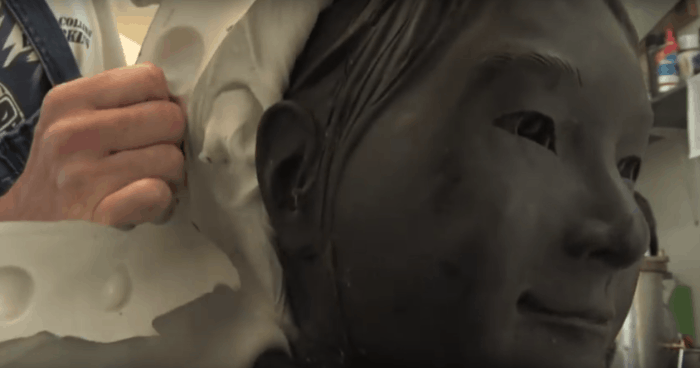 Once the wax is dry, the rubber mold is carefully removed. 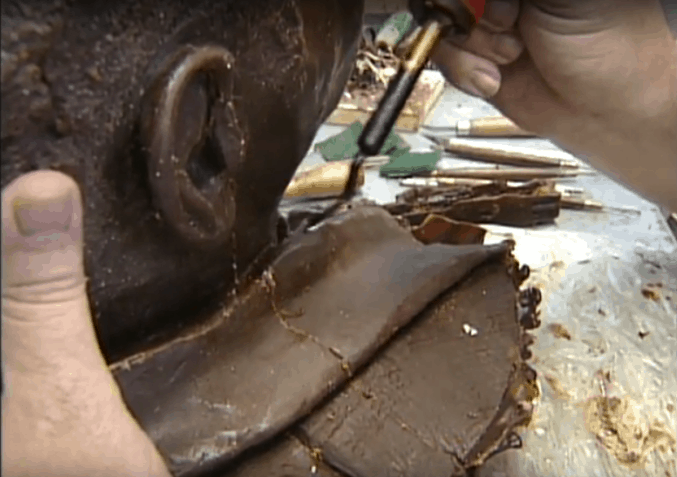 Details are formed back into the wax, this is called wax chasing. 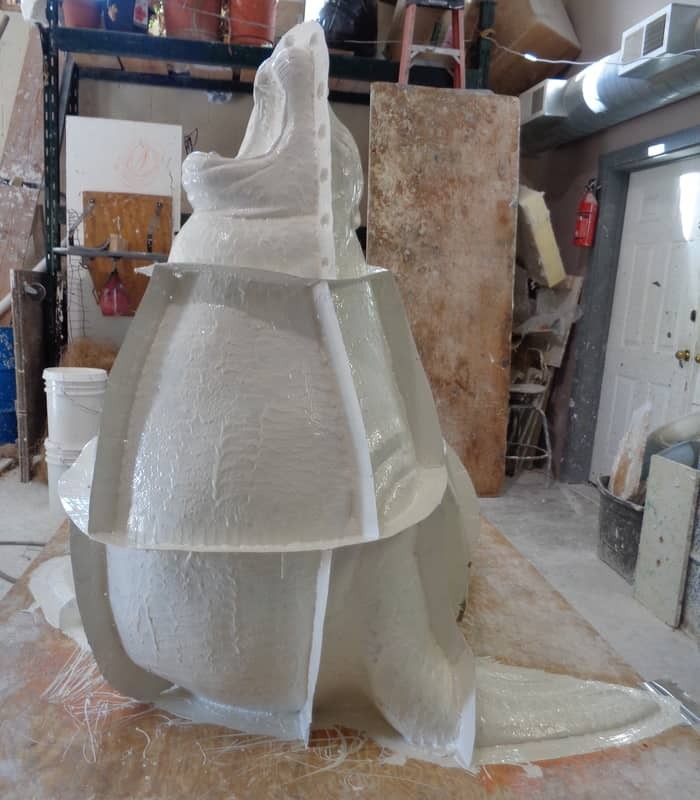 A sprued wax copy is dipped into a slurry of silica, then into a sand-like stucco, or dry crystalline silica of a controlled grain size. The slurry and grit combination is called ceramic shell mold material, although it is not literally made of ceramic. 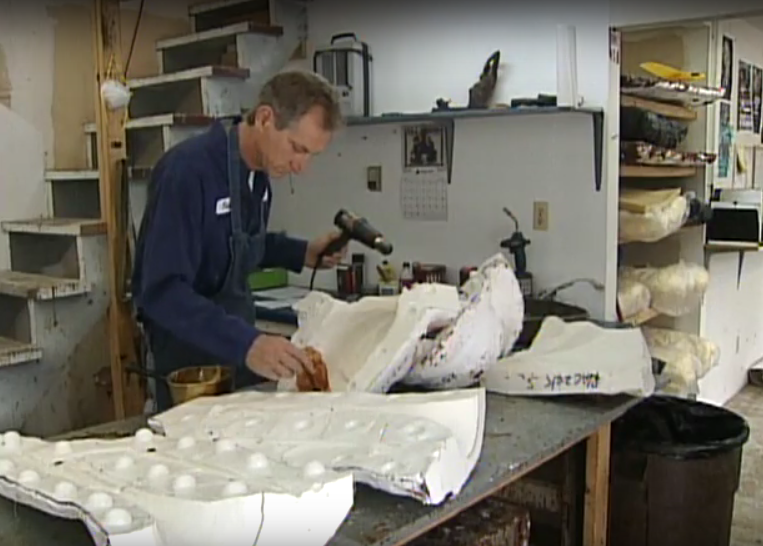 This shell is allowed to dry, and the process is repeated until at least a half-inch coating covers the entire piece. The bigger the piece, the thicker the shell needs to be. Only the inside of the cup is not coated, and the cup’s flat top serves as the base upon which the piece stands during this process. 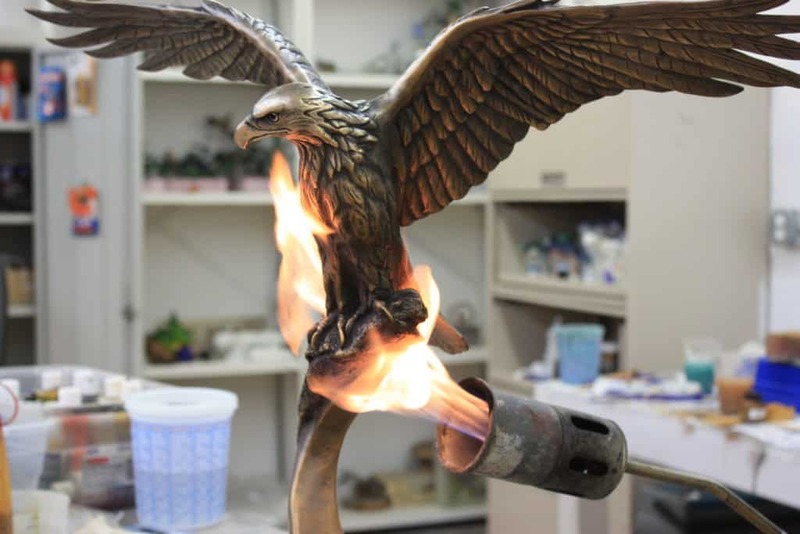 The bronze mixture is made up of 95% copper, 4% silica, and 1% manganese which is heated to 2,000 degrees Fahrenheit. 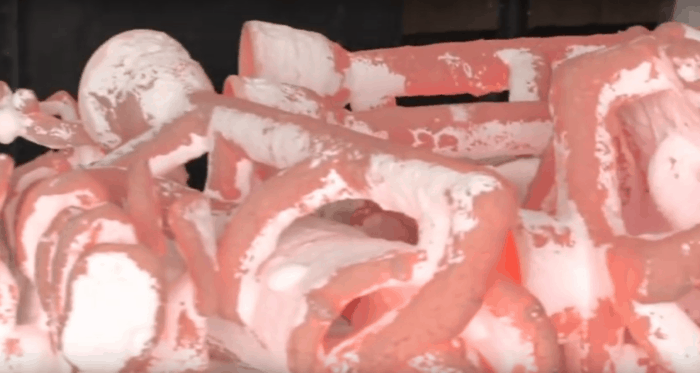 Here, the plaster molds are filled with the molten copper mixture. 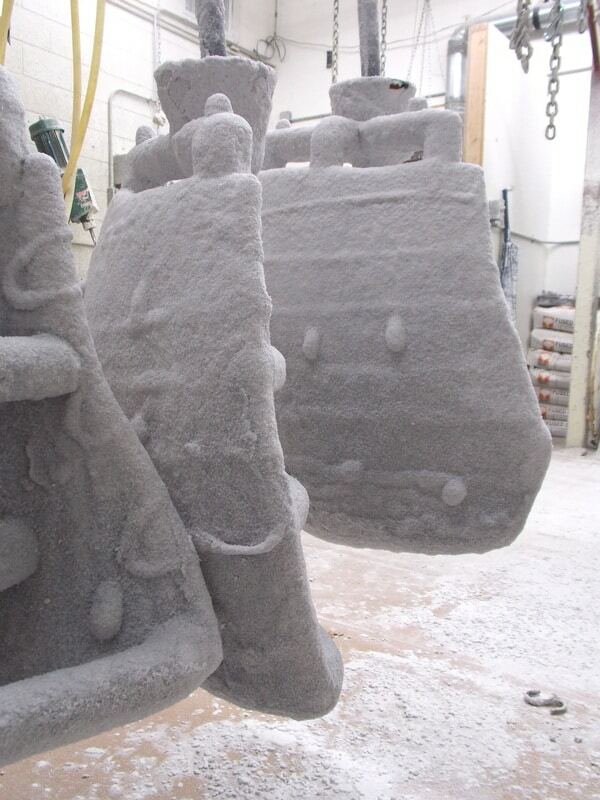 After the castings are cooled, they are broken and sanded open to reveal the bronze casting inside. 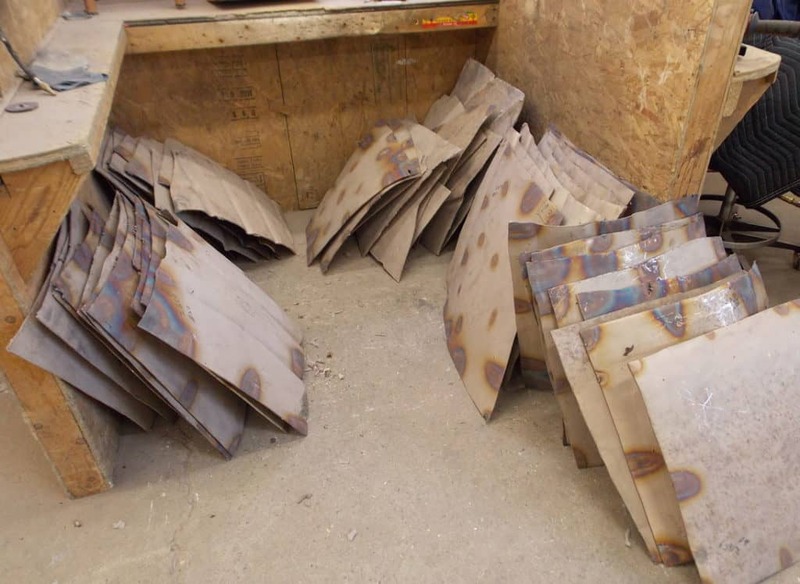 Each piece of the casting is sorted into piles to be put together like a puzzle. 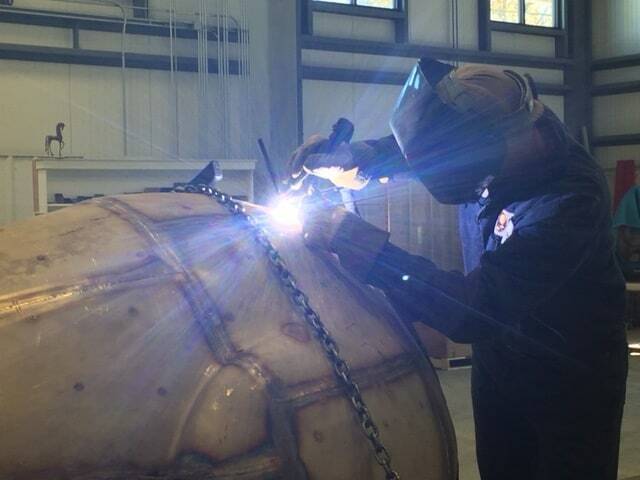 Large or complex monumental sculptures that needed to be separated and cast in smaller pieces are carefully welded back together, resulting in a seamless piece of art. 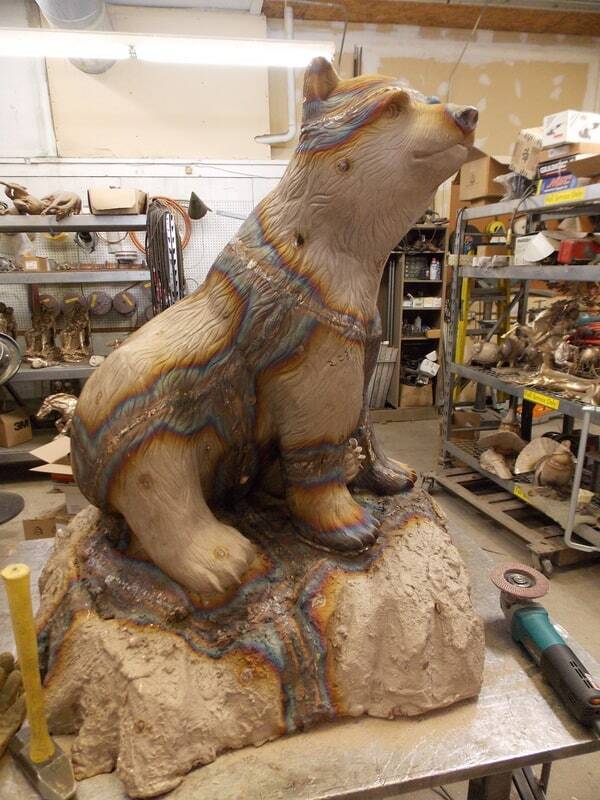 Bear cub after all of the pieces have been welded together. 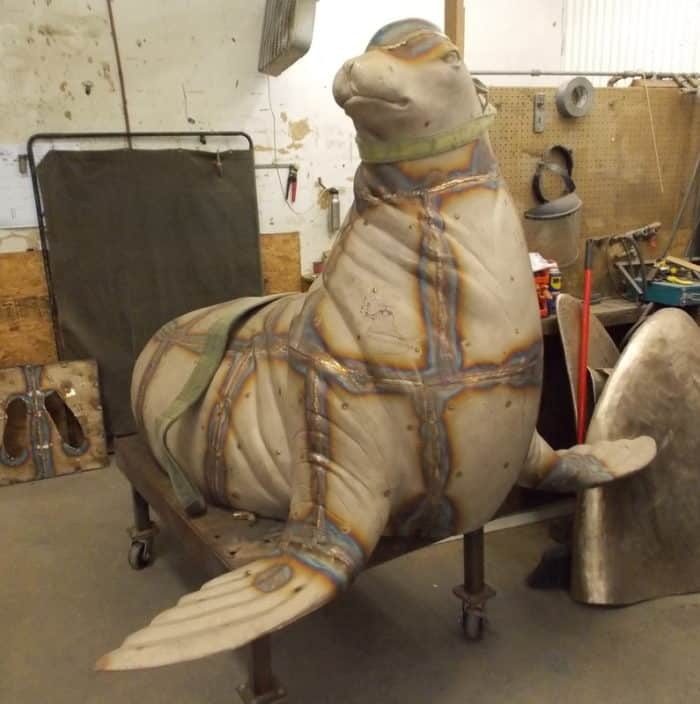 Sea lion after all of the pieces have been welded together. The final casting is now ready for patina. 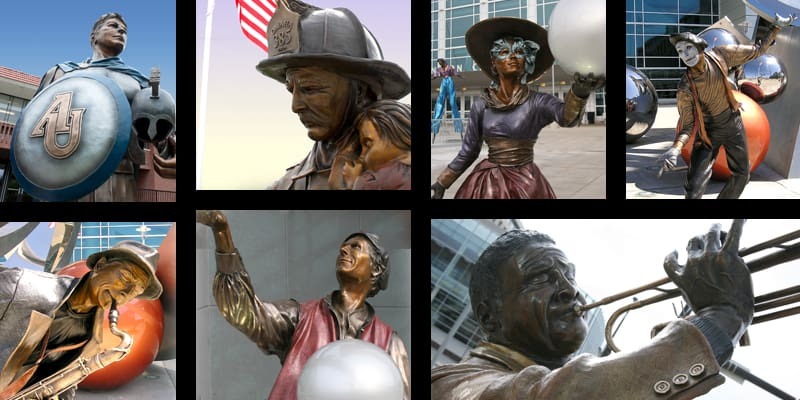 Patina is the chemical coloration of the surface of the bronze, depending on the desired effect. 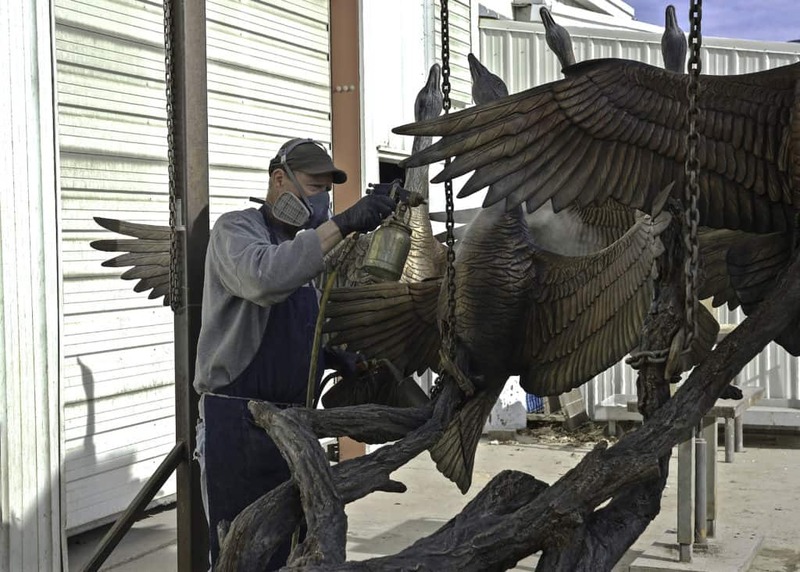 First, the bronze will be sandblasted and then may be wire brushed, rubbed with steel wool and/or an abrasive pad. 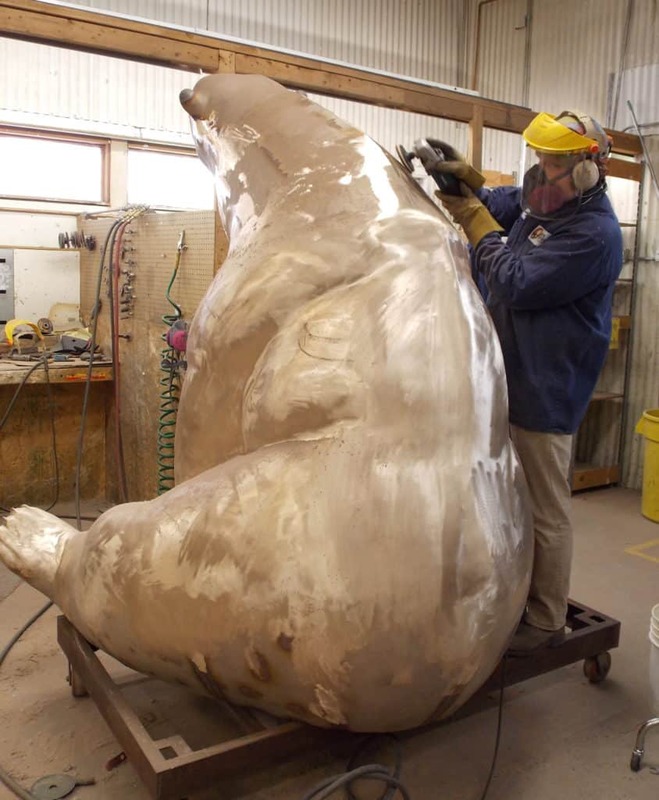 Then the bronze will be heated with a torch and chemicals will be applied to the surface. 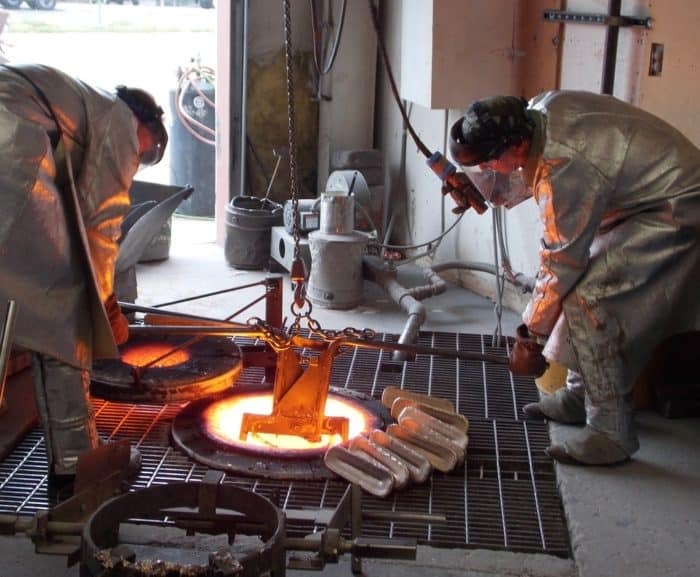 The casting may be coated with a variety of different compounds such as oxides, carbonates, sulfides, sulfates or even paints. 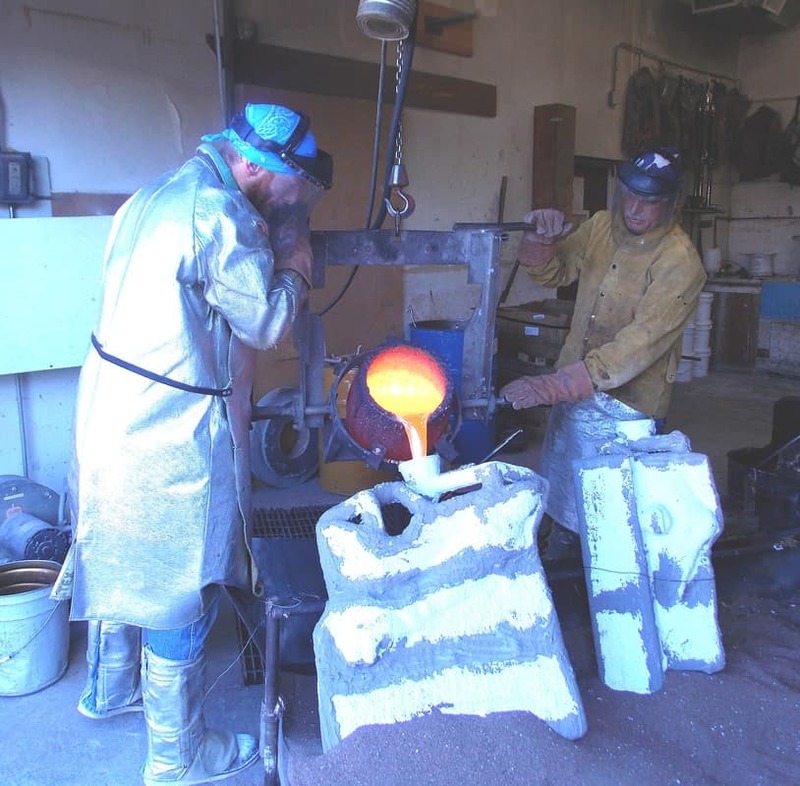 The reaction of the chemicals on the heated bronze will deposit a layer of oxides on the surface of the casting creating different colors. The use of different chemicals will result in different patinas. After the layer of oxides is complete, a coat of wax and/or lacquer may be applied to seal the patina from further oxidation. 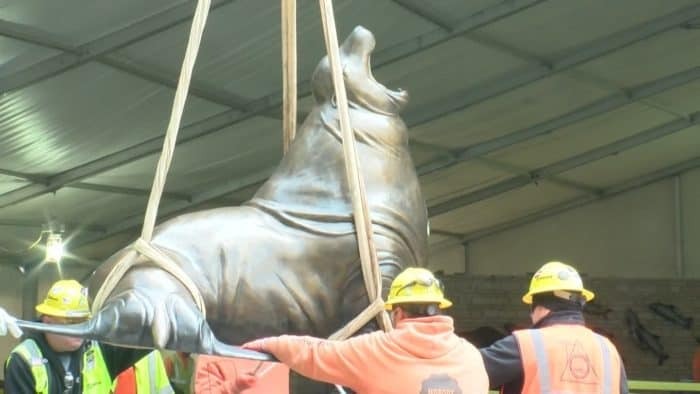 The piece should be waxed at least once a year to extend the life and appearance of the final bronze sculpture. 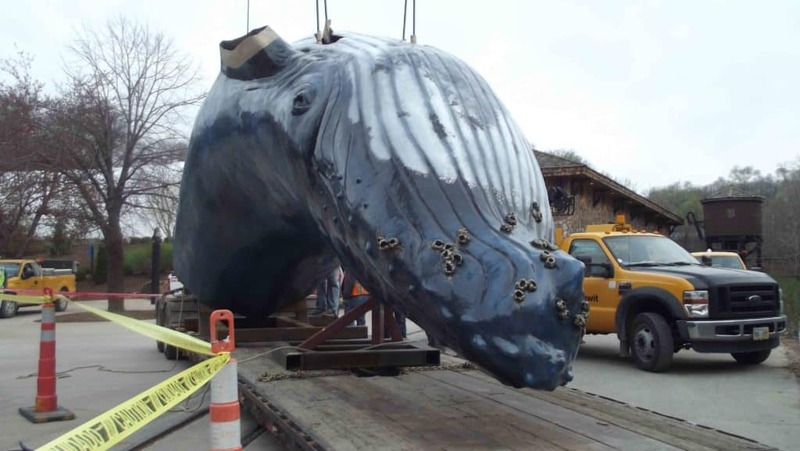 The completed monumental sculpture is now ready to be taken to its new home, where it will be installed by a team of engineers, electricians and installation crews, all under the watchful eye of its artist. 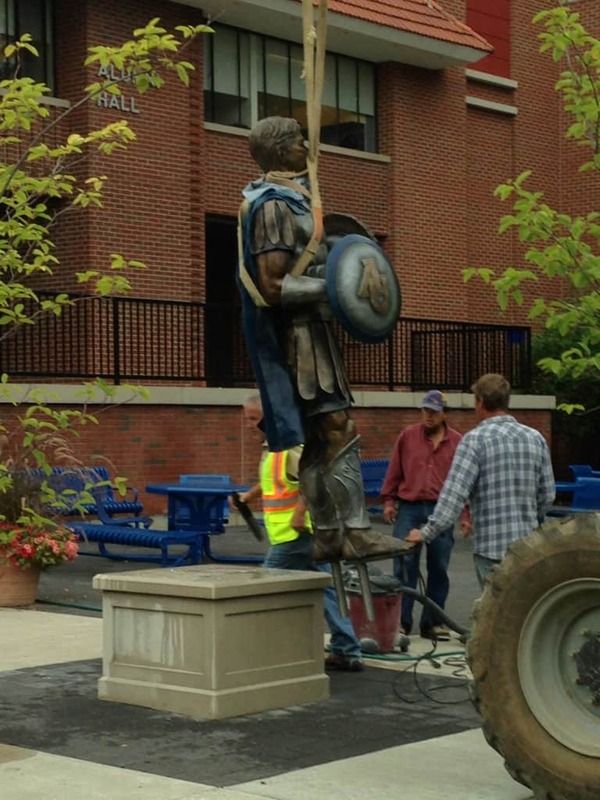 Large cranes and teams of engineers are used to execute the installation of the bronze figures in to place. 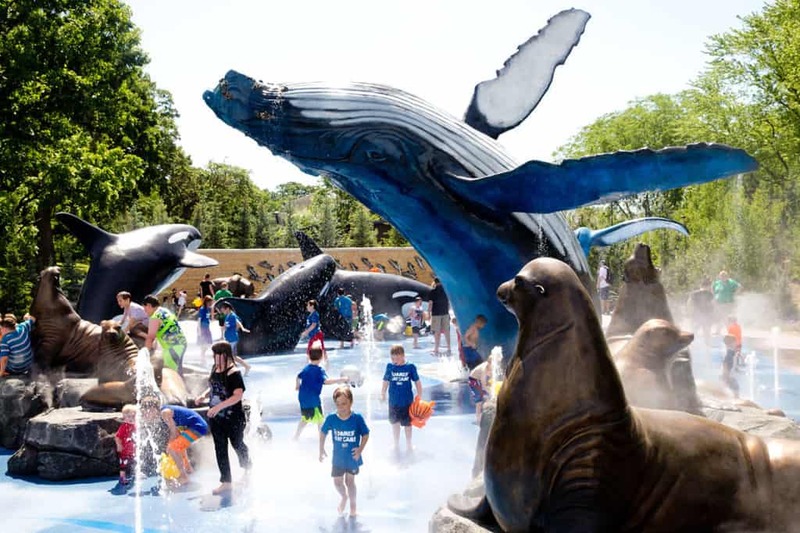 There is no room for error when transporting large figures such as the whales in the Alasakan Adventure Installation in Omaha, Nebraska’s Henry Doorly Zoo. 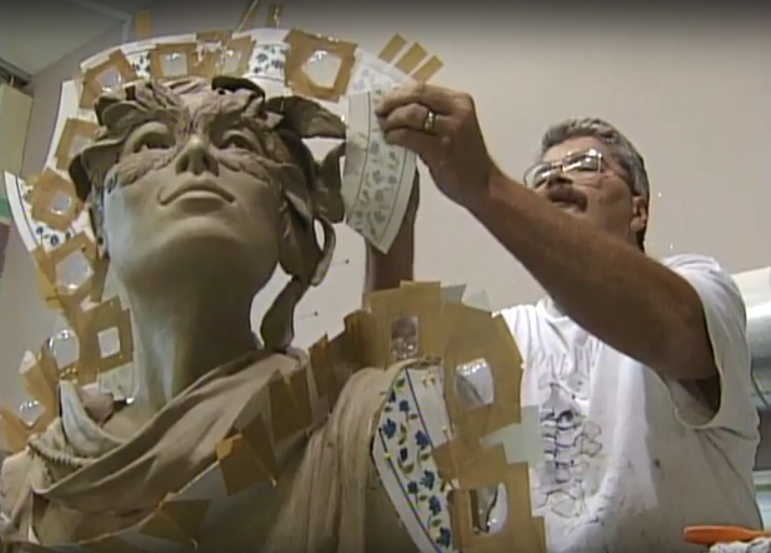 It may take hours to fit a sculpture into place. 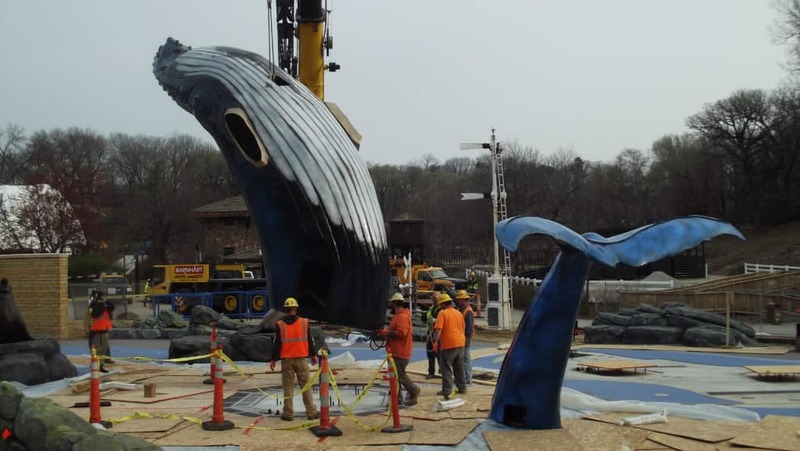 Everything has to be lined up perfectly before the crane can lower the piece onto its base. Finally, after months and sometimes years of planning and creating, these beautiful pieces can be enjoyed by the public for years to come.